SOLD. 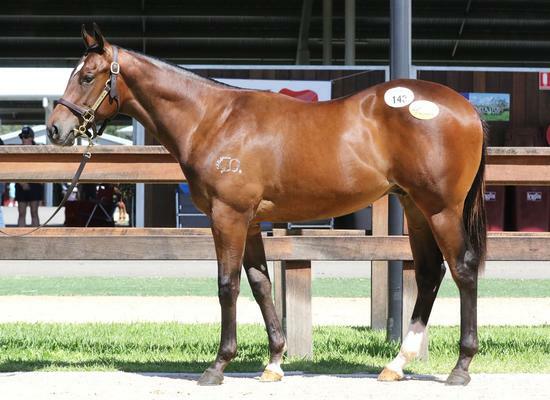 This filly was purchased from the Adelaide Magic Millions sale. She is by multiple stakes winner and proven sire GOOD JOURNEY, who also sired the Group One winner HAPPY TRAILS. Her dam has already produced two winners, with half-sister Our Tanincconi placing 3rd in the Ballarat Magic Millions 2YO Clockwise Classic. 25% SOLD. 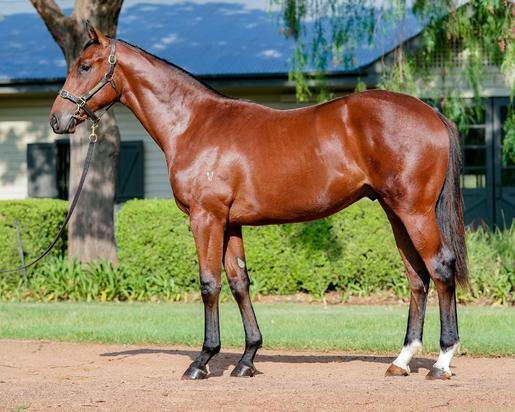 This colt was purchased from the Adelaide Magic Millions Sale. He is by top sire MAGNUS who has done a fantastic job at stud already producing 35 stakes winners, and has a high percentage of 70% winners to runners. 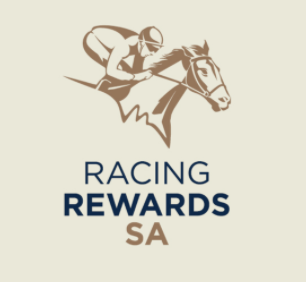 Our stable has had recent success with Magnus gelding, KEMALPASA, a very honest horse that is improving with age, having won two in a row at city level. 75% SOLD. This colt was purchased from the Melbourne Inglis Premier sale. He is by champion 3YO of his year ALL TOO HARD, a four-time Group 1 winner and half-brother to the great BLACK CAVIAR. This colt is half brother to two stakes placegetters in ALCOHOL and ALCOBRO. Alcohol ran 2nd in the G3 Chairman’s stakes and Alcobro ran 3rd in the Listed Nitschke Stakes. 50% SOLD. 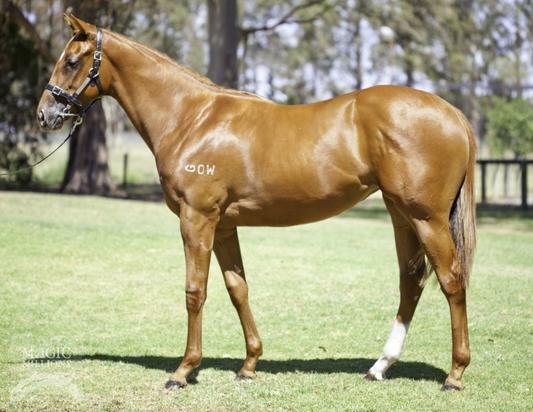 This filly was purchased from the Magic Millions Perth sale. She is by first season sire I’M ALL THE TALK, who was winner of the Group 3 Skyline Stakes. Her dam BANTRY BAY won the Group 3 SAJC Sire Produce as a 2YO. 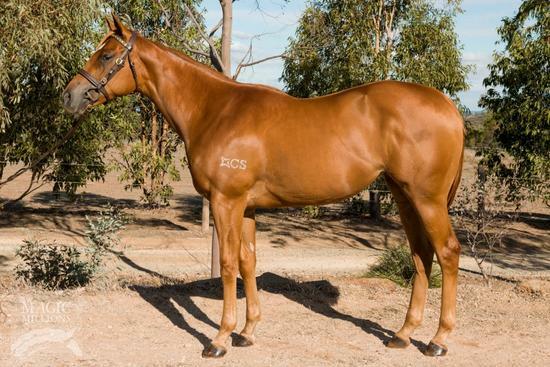 She is a proven broodmare having already produced five winners, including two that have won over $150k in prizemoney. 60% SOLD. 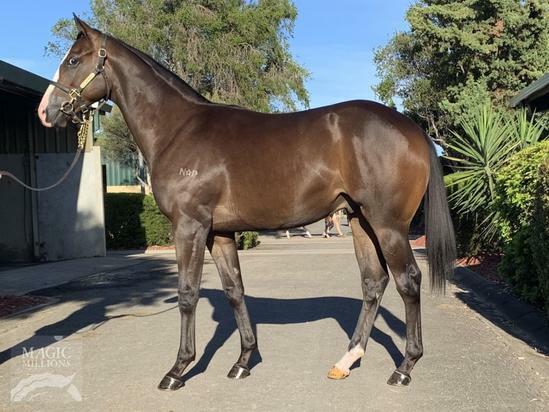 This filly was purchased from the Magic Millions Perth sale. She is by SAFEGUARD, whose progeny are only 2YOs and already include the stakes placed filly, MISS WEST COAST. Safeguard won his only two starts as a 2YO including the Group 3 ATC Kindergarten Stakes. As a 3YO he won the Group 3 MRC Vain Stakes, making him undefeated in his first three starts. 75% SOLD. Purchased at the Inglis Classic Sale Sydney, this colt is by first season sire RICH ENUFF. With three consecutive Group and Listed victories, Rich Enuff was explosive on the track, and was the fastest a 3YO colt has run down the Flemington straight six this century. His dam is half-sister to, CHURCHILL DOWNS, winner of over $750k in prizemoney and now a stallion. 40% SOLD. Purchased from the Inglis Classic Sale Sydney, this colt is by the Leading First Season Sire of 2yo Winners SPIRIT OF BOOM. Spirit Of Boom has commenced his stud career with a huge Boom, already producing 5 individual stakes winners. He is from a well performed family, being related to Champion filly and Golden Slipper winner BELLE DU JOUR. 45% SOLD. This colt was purchased at the Inglis Classic Sale Sydney. He is by champion 3YO of his year ALL TO HARD, a four time Group 1 winner and half-brother to the great BLACK CAVIAR. This colt is from a MORE THAN READY mare, he is half-brother to the 7 time winner of over $160k River Dance. He is also a full brother to a promising 3YO filly, One for Betty. 65% SOLD. 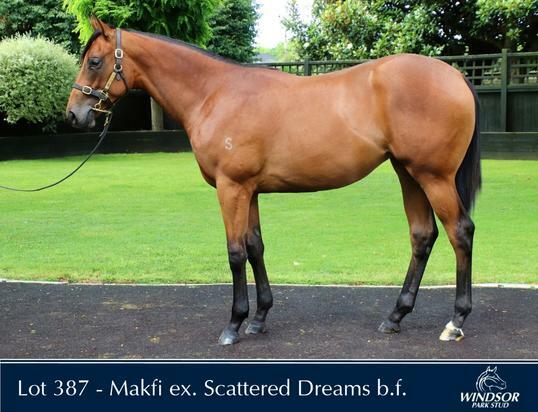 This bay Makfi filly was purchased at the 2019 Karaka NZ sales. English 2000 Guineas winner, MAKFI is one of the 163 individual stakes winners by world class stallion Dubawi. As a stallion himself, Makfi has sired 26 stakes winners including two ATC Oaks Group 1 winners in BONNEVAL and SOFIA ROSE.